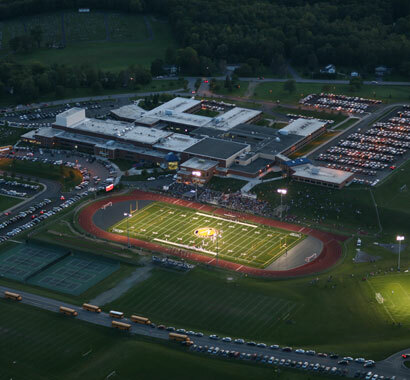 Campus CMG has been providing construction management services to Victor CSD for over a decade. We are currently assisting the District with its $28.7 million capital expansion program, which features a new aquatics center, classroom additions, and renovations to the transportation facility. Phase III - $16 million additions and renovations, featuring an addition to (and complete renovation of) the existing Jr/Sr High School auditorium, making it 7,964 SF with an additional 1,842 SF of stage and 925 seats. 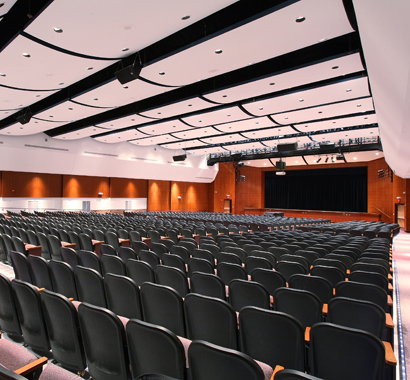 This portion of the project consisted of a new stage, rigging, lighting and sound systems, seating, HVAC, and sound attenuation including ceiling clouds, as well as new wall and floor finishes. 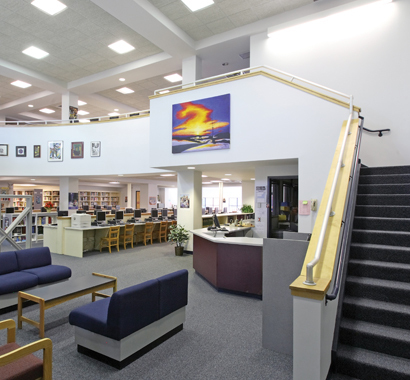 Related work included construction and renovation of an adjacent eight classroom music suite. The turf field (see photo) was part of the beginning stages of the Capstone project. The $11 million project included the turf field, new blacktop in various areas of the campus, boiler replacments at both the Victor Education Center and Jr./Sr. High School, Intermediate School Cafeteria Addition, Jr./Sr. High School Science Rooms/Fitness Room additions, as well as many other extensive renovations throughout the District.